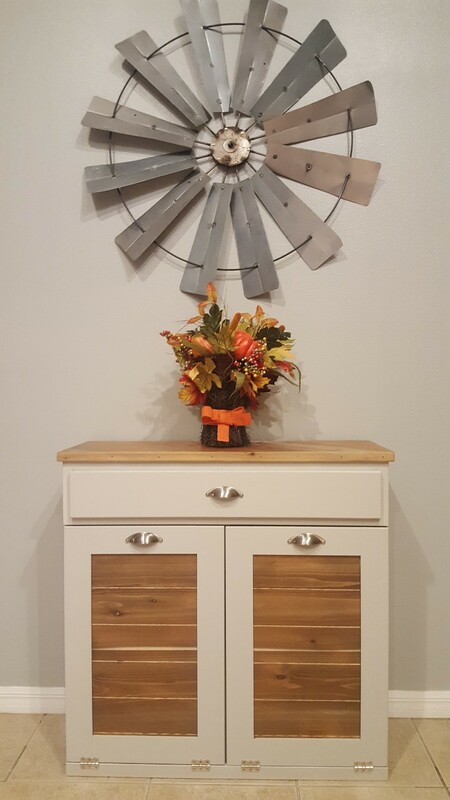 This is a gorgeous way to top off your beautiful, custom trash bin or hamper. Our cedar tops are weathered and clear coated. They will give your new tilt out a beautiful, rustic charm. Expect each to have its own color characteristics, which may include brown, rust, grays and white, please see the pictures for reference. We can't guarantee a color as the wood has a mind of its own. It may also have knots or twist in the wood at add to the rustic charm. Feel free to zoom in on our pictures and see all of the rustic details.